For those (aged 18 or over) new to meditation and Buddhism along with those who wish to learn the approach of the Triratna Buddhist Community. We run a regular programme of introductory classes for those (aged 18 or over) new to meditation and Buddhism along with those who wish to learn the approach of the Triratna Buddhist Community. No previous experience is necessary. 7 pm to 9.30 pm, over 4 weeks. 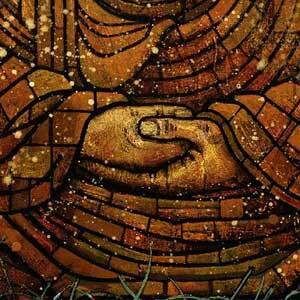 Body scans, Sitting options, Metta Bhavana (loving kindness) meditation practice & follow on topics about Buddhism. Following this initial booking fee, payment will be on a donation basis for the rest of each module. Following the completion of this introductory course, participants will be able to attend our ongoing activities. To book a place, please send a deposit of £10 payable to Blackburn Triratna Buddhist Centre, 16 Strawberry Bank, Blackburn, BB2 6AA. We will confirm your place by email or phone once we have received your deposit. Please ensure you send your full contact details with the deposit. Following this initial booking fee, payment will be on a donation basis for the rest of the course. I have thoroughly enjoyed this course – the Introduction to Meditation and Buddhism – and hope to incorporate certain aspects in my daily life.